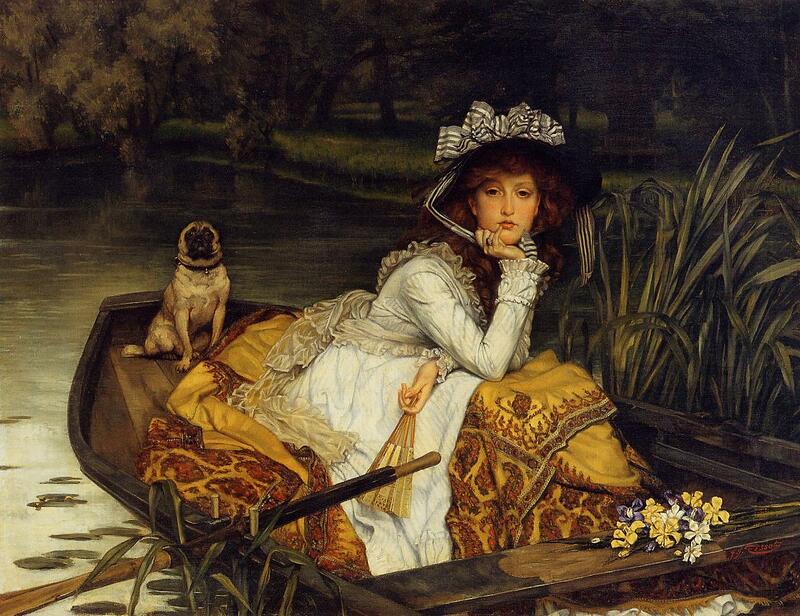 My bro-in-law shared with me this 1870 Victorian oil painting by James Tissot, entitled “Young Woman in a Boat.” Huddled in the back is a pug, a get-me-out-of-here expression on its mug, looking just as Pablo did the time I took him on a boat ride. The only difference? Pablo wore a lifejacket.